Peter Wittig, German Ambassador to the United States, will deliver the keynote address at Washington and Lee University’s Institute for Honor Symposium “The European Refugee Crisis: The Search for a Moral Response” on Friday, Nov. 4 at 4 p.m. in Lee Chapel. Wittig will speak on “German Policy Toward the European Refugee Crisis.” His lecture is free and open to the public. Watch this event live on Livestream.com. 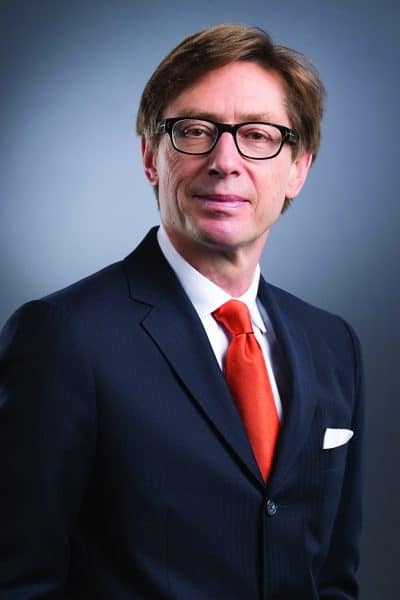 Wittig has served as German ambassador to the United States since April 2014. Previously, he was German ambassador to the United Nations in New York and represented Germany during its tenure as a member of the U.N. Security Council in 2011 and 2012. There, he drew on his wide expertise in United Nations matters, having previously served as director-general for United Nations and global issues at the German Foreign Office in Berlin. Wittig joined the German Foreign Service in 1982. He has served at the embassy in Madrid; as private secretary to the foreign minister at the headquarters, then located in Bonn; and as ambassador in Lebanon and in Cyprus. He was the German government special envoy on the “Cyprus question” (the division of Cyprus). Before starting his career in the German Foreign Service, Wittig studied history, political science and law at Bonn, Freiburg, Canterbury and Oxford universities and taught as an assistant professor at the University of Freiburg. Established in 2000 at Washington and Lee by a generous endowment from the Class of 1960, the Institute for Honor includes an array of initiatives and specific programs designed to promote the understanding and practice of honor as an indispensable element of society. The Institute for Honor Symposium is dedicated to the advocacy of honor as the core value in personal, professional, business and community relations. For more information, contact spclprog@wlu.edu.